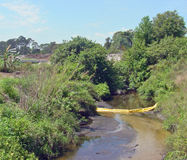 Stream mapping and biological assessments are crucial elements for environmental impact assessments and stream restoration efforts. 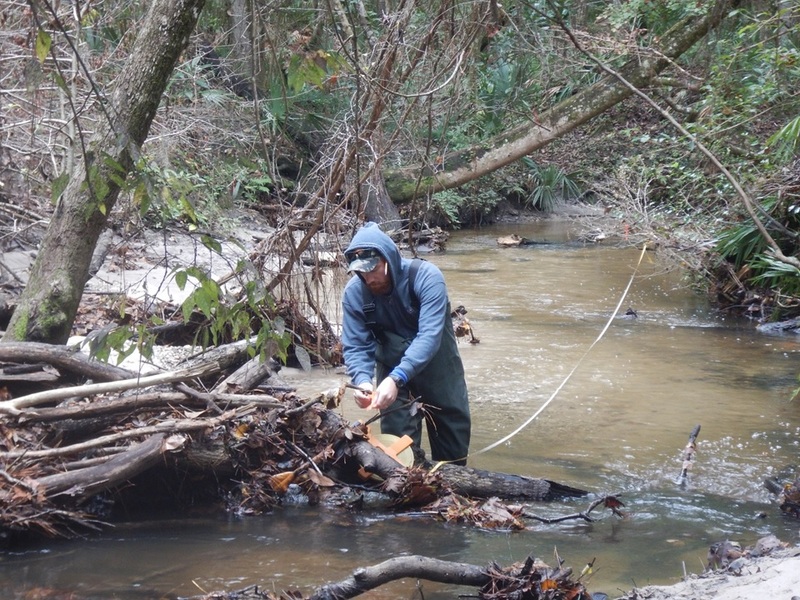 EAI staff are trained, audited, and registered by the Florida Department of Environmental Protection for Habitat Assessment (HA) and Stream Condition Index (SCI) sampling. 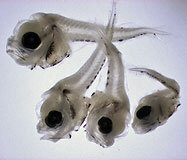 The taxonomic lab at EAI is well-equipped to process and identify SCI macroinvertebrates for SCI stream scoring. 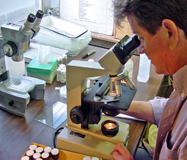 Our senior taxonomist has trained with world experts in several insect groups, and holds a certification from the Society for Freshwater Science for genus-level eastern Ephemeroptera, Plecoptera, & Trichoptera. 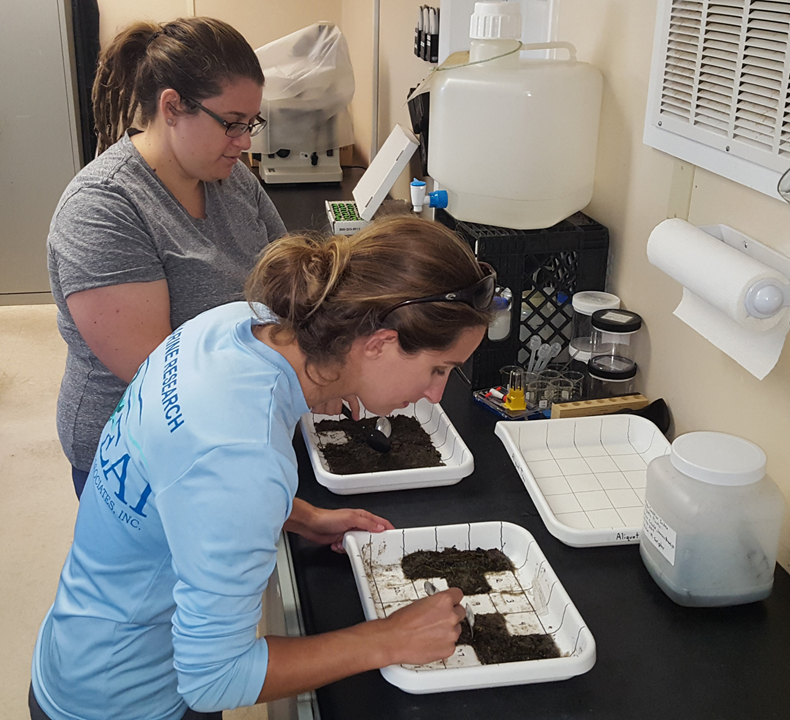 Macroinvertebrate samples can be collected by EAI field staff, or shipped by clients to EAI’s lab from registered SCI biologists for processing, identification, and index calculations. 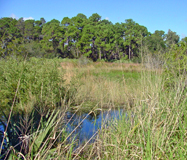 EAI’s scientists routinely conduct a variety of habitat assessments in both wetland and upland environments. 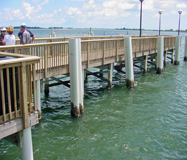 Wetland delineation and characterization of plant communities is typically required in support of permit applications for land development, dock/marina construction, utility corridor selection, bridge crossings, and similar projects potentially affecting wetlands. 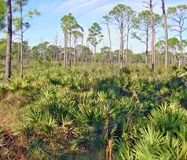 Assessment of natural communities is an integral part of habitat conservation planning, public lands management, and permitting for land development. 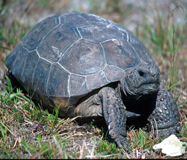 These assessments involve classification and mapping of plant communities and surveys for state and federally protected species that are likely to occur there. Our assessments are used to inform project owners of regulatory requirements and develop measures to minimize impacts to sensitive natural resources during and following project construction. 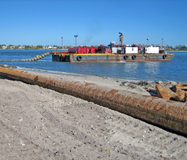 EAI’s permitting team has been involved in the acquisition, management, and/or renewal of environmental permits for the following types of activities: marina development/expansion, residential and commercial land development, shoreline stabilization, dredge and fill, coastal construction, beach nourishment, dock construction, stormwater management, landfill expansion, utility corridor selection, industrial operations, incidental take of federally protected species, and major highway and bridge construction. 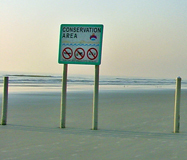 One of EAI’s principal areas of specialization is sea turtle biology and conservation. 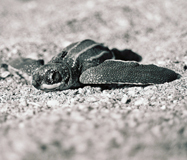 EAI senior staff have participated in numerous sea turtle monitoring and applied research programs throughout Florida and the Caribbean. 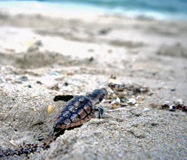 These programs have included nesting surveys, nest marking, caging and relocation programs, net capture of juvenile and adult turtles, tagging and recapture studies, coastal lighting evaluations, and environmental impact assessments related to a variety of coastal construction and erosion control projects. 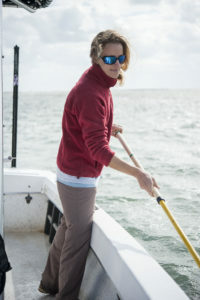 EAI staff are authorized to conduct these activities under Florida Fish and Wildlife Conservation Commission (FWCC) Marine Turtle Permits (TP #010 and #162) issued to EAI’s Senior Project Manager Niki Desjardin. 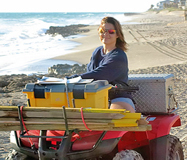 Additionally, EAI scientists have been approved by the National Marine Fisheries Service (NMFS) to serve as sea turtle observers during dredging operations. 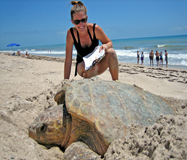 EAI performs beachfront lighting evaluations in accordance with FDEP permit conditions to determine negative impacts to sea turtle nesting. Using sub meter GPS technology, EAI scientists are able to identify individual light sources that are in violation of local lighting ordinances. After surveys are performed a detailed report outlining violations and retrofitting options to bring lights into compliance is provided to the client. These reports can then be used by local municipalities and code enforcement to more easily illustrate problem lights to property owners. The utility industry routinely requires a variety of aquatic and terrestrial ecological studies and environmental impact assessments in support of site planning, permitting, and operating licenses for its power plants and associated infrastructure. 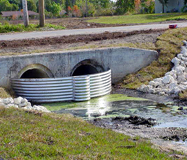 EAI provides a diverse array of services to support the needs of this industry, including: Clean Water Act Section 316(a) and (b) studies; ecological assessments in support of plant relicensing, NPDES permitting, and thermal variances; NPDES permit-compliance monitoring of water quality and/or biological communities affected by thermal discharges; assessment of causes and identification of organisms responsible for condenser tube fouling; capture and release of wildlife; wetland and wildlife assessments in support of planning and construction of gas pipelines and electricity transmission line corridors; and submerged resource surveys in support of permitting for sub-aqueous cable crossings. 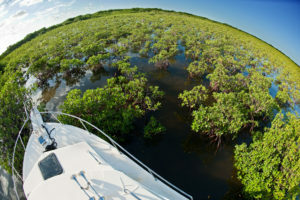 The natural and physical processes shaping Florida’s environment are unique and complex. 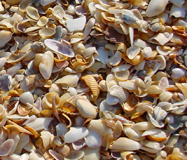 EAI’s scientists are experts in Florida’s ecology and translate this knowledge into sound resource management recommendations for our public and private clients. 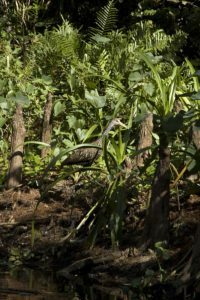 We are fully aware of the spectrum of restoration and preservation techniques available for resource conservation, including the use of prescribed fire and exotic vegetation control. 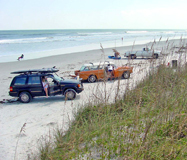 Our staff has prepared numerous Management Plans for public conservation lands. For these projects, key resource features are often surveyed using GPS and integrated into our statewide GIS database. 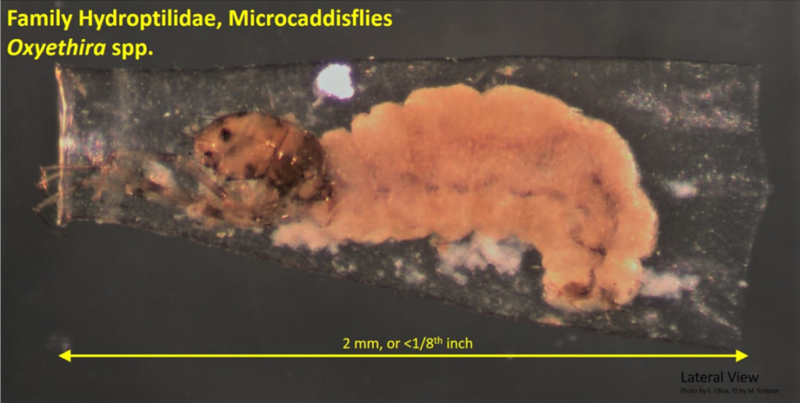 EAI’s scientists have an extensive work history in benthic ecology, having analyzed a multitude of macroinvertebrate samples from a multitude of discrete locations throughout the United States. 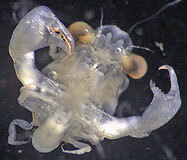 Individual taxonomists specialize in one of the primary groups comprising the benthic community: annelids, crustaceans, and mollusks. Comparison of benthic community structure pre- and post-construction and/or between affected areas and reference sites are used to assess impacts from dredging, beach nourishment, marina/dock construction and operation, exploratory drilling, industrial construction, power plant operation, and utility corridor installation. 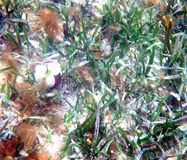 Benthic community characteristics, including density, species richness, dominance, diversity and evenness, have been documented over varying spatial and temporal scales. 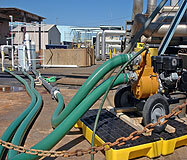 Quantification of actual or potential impacts to local and regional fisheries is an essential component of environmental impact assessments related to permitting for power plants, industrial operations, dredging, oil exploration and extraction, and subaqueous utility pipeline construction. 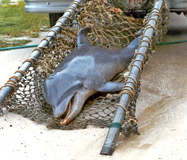 A key component of this analysis is identification and enumeration of ichthyoplankton and meroplankton from waterbodies affected by these activities. 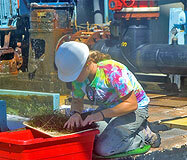 Plankton samples are collected by EAI field staff or shipped by clients to EAI’s lab from distant locations. 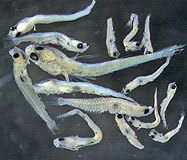 Fish eggs and larvae and targeted shellfish larvae are then sorted from the samples, enumerated and identified to the lowest practical taxon in accordance with site-specific SOP. Resultant data are entered into electronic spreadsheets or databases to facilitate analyses of spatial and temporal patterns. 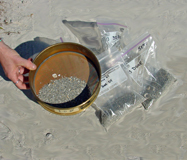 Sediment analyses, both physical and chemical, are an integral part of EAI’s biological programs. 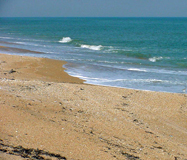 EAI has extensive experience analyzing sediment samples in support of dredging, beach nourishment and other coastal construction projects. A variety of sediment characteristics are examined, such as compaction, grain size distribution, moisture content, total organic carbon, and calcium carbonate content. 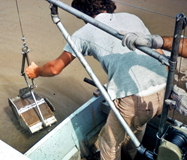 Chemical analyses of sediments for a wide variety of parameters (heavy metals, oils and greases, pesticides, and other EPA priority pollutants) are available through our established network of independent, certified laboratories. 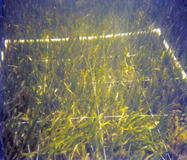 EAI’s scientists have participated in projects designed to monitor and map seagrasses and algal habitats throughout Florida in support of permit requirements for marina development, dredging, seawall and dock construction, coastal restoration, utility corridor improvements, and power plant operations. 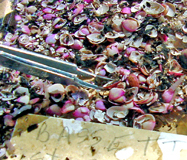 Field investigations have included qualitative and quantitative assessments of bottom coverage, density, biomass, and species composition. 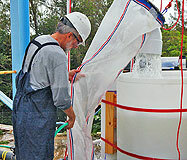 EAI routinely performs water quality monitoring to document compliance with state and federal water quality standards and permit conditions, to assess the benefits of stormwater improvement projects in reducing pollutant loading to receiving water bodies, and/or to identify physical and chemical factors potentially affecting the distribution and abundance of resident biota. Water quality variables commonly measured in-situ include temperature, pH, dissolved oxygen, salinity, conductivity, turbidity, and transparency. A full range of laboratory testing for nutrients, BOD, metals, hydrocarbons, and priority pollutants is available through our independent, certified laboratories. EAI has a strong background in the field of protected species conservation and management, including direct experience with the development of Environmental Assessments (EAs) and Habitat Conservation Plans (HCPs) in support of federal Incidental Take Permit (ITP) applications. EAI is sensitive to local social, cultural, and economic interests and endeavors to strike a reasonable balance with environmental issues as it develops programs to ensure adequate protection for affected species. With respect to characterizing current and projected impacts to protected species, EAI depends heavily on objective, scientific analyses. The monitoring programs, policies, and administrative procedures incorporated into our conservation plans are designed to ensure a highly coordinated effort among affected stakeholders that will lead to the long-term stability and/or recovery of target populations. 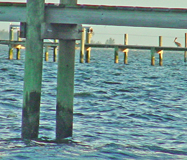 EAI scientists have prepared Manatee Protection Plans for several Florida counties. 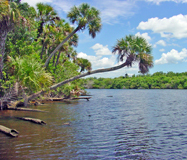 These plans summarize local information on manatee abundance and mortality, include site-specific measures for reducing the risk of watercraft impacts, and include implementation policies and schedules. 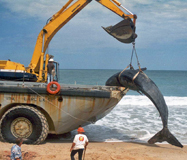 EAI has been approved by state and federal agencies to provide right whale and manatee observers onboard dredges and at construction sites where the welfare of these animals is at risk. 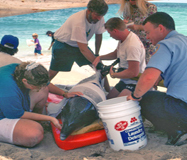 Additionally, under authorization of the National Marine Fisheries Service (NMFS), EAI has participated in the Southeast U.S. Marine Mammal Stranding Network by voluntarily responding to reports of dead, sick, and injured marine mammals that wash ashore.